GHOST NETS - A sea turtle is ensnared in this fishing net that has been abandoned by fishermen. 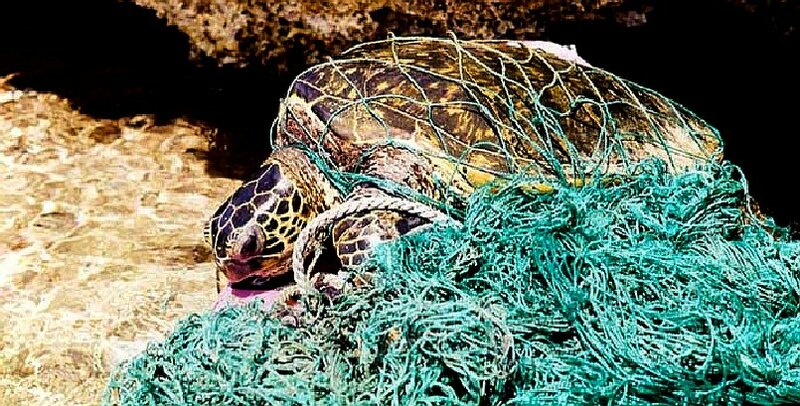 Fishing nets are made of plastic that is very tough and float around killing marine wildlife and when they finally sink, cause more harm to ocean ecosystems. Ghost nets are fishing nets that have been left or lost in the ocean by fishermen. These nets, often nearly invisible in the dim light, can be left tangled on a rocky reef or drifting in the open sea. They can entangle fish, dolphins, sea turtles, sharks, dugongs, crocodiles, seabirds, crabs, and other creatures, including the occasional human diver. 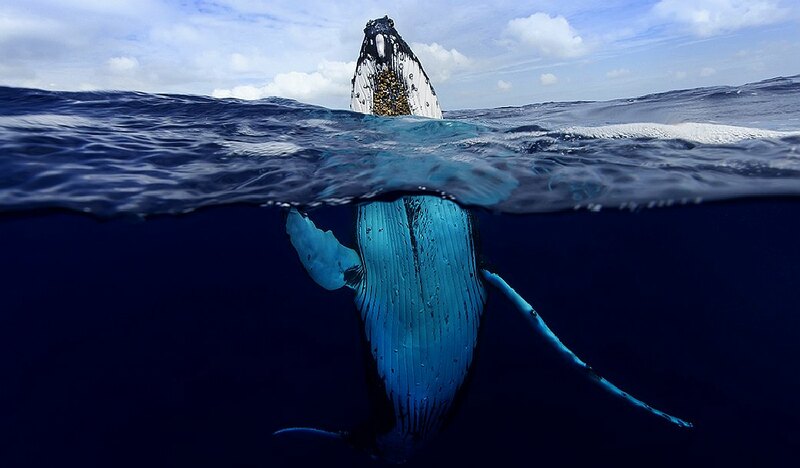 Acting as designed, the nets restrict movement, causing starvation, laceration and infection, and suffocation in those that need to return to the surface to breathe. In an effort to feed a growing population we should look at alternatives lower down the food chain to increase the ratio at which protein is harvested from the ocean, so bypassing the conventional food chain where at each stage of consumption there are significant losses in the conversion process. Jellyfish, squid, krill and filter feeders such a mussels could play a part in filling the widening gap between falling fish stocks and higher demand to feed humans - so relieving the pressure on tuna, salmon and other popular white fish. The problem being that plastic in the ocean is poisoning all marine life, making seafood potentially toxic and a health risk in years to come.